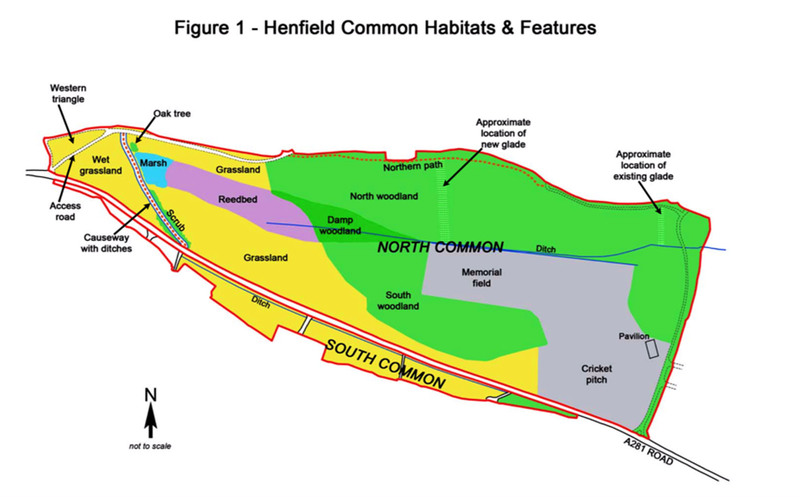 Henfield Common is owned by Horsham District Council (HDC) who finance its management. Day to day management is under the control of the Henfield Commons Joint Committee (HCJC) whose members include Parish Councillors, District Councillors and co-opted, non-voting members. The Common is put to a variety of uses by Henfield residents and it means different things to different members of the community. Dog walkers make up a high proportion of the regular visitors to the Common but there are also horse riders, bird watchers and those who simply enjoy the experience of being out in the woods and open spaces of the Common. There has been growing concern expressed by various stakeholders over the condition of the Common in recent years so the HCJC commissioned the production of a ten-year management plan to define an agreed set of management objectives and provide a long-term schedule of management actions to meet these objectives. Although it is a relatively small site it has quite complex geology with areas of very wet ground and it supports some rare and fragile wildlife. It is no easy task to manage the Common in the best way to conserve its very special nature and maintain its place in the heart of the community. Implementing good and consistent management on the Common will take time but with the support of the community and with help from specialist advisors it can be done. It is clear however, from the Management Plan that our Common is in need of our help. To focus management effort on the open marsh and grassland habitats that have undergone long-term deterioration and are at risk of losing their diverse and special characteristics. As an absolute minimum these areas need to be mown more often, on a more complex rotation with the cuttings always removed. 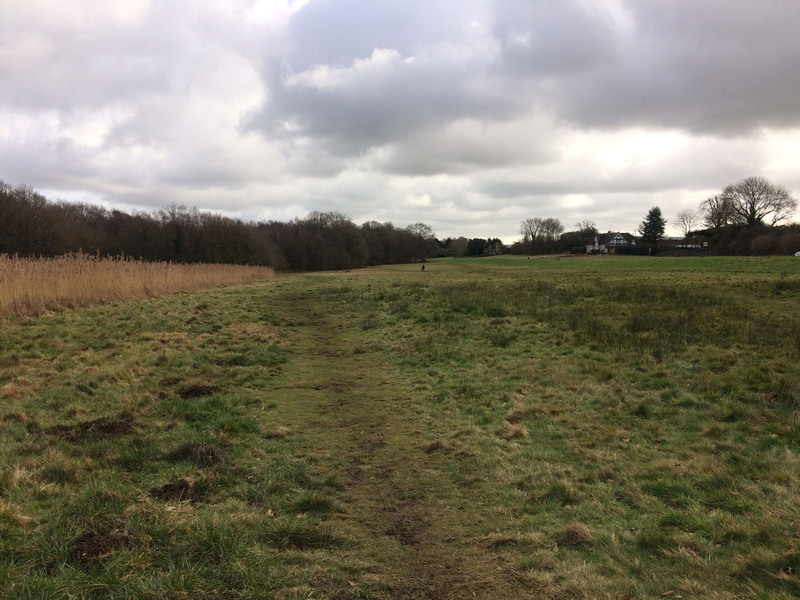 To manage the reed-bed by rotational mowing with cut material and scrub removal in an attempt to prevent further spread of reed-dominated and woody vegetation. To control invasive, non-native plant species that are having an adverse impact on native habitats and species. 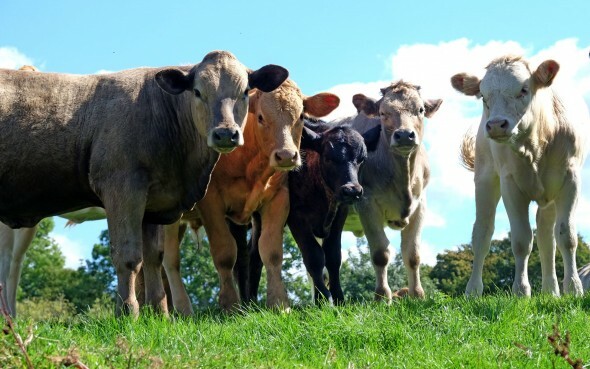 It further recommends that the re-introduction of livestock grazing would be the single most effective and sustainable way to address those management priorities. It would halt the decline of wildlife and restore aspects of its lost diversity in a way that mowing cannot achieve. Some of the rare native wildflowers that are currently only just hanging-on would thrive under a cattle grazing regime and the more widespread species that are gradually being lost from the open grassland areas would have much better conditions to allow them to flourish again. Discussions have taken place to determine how best to deliver on the plan’s recommendations. The layout of the Common makes it difficult to graze cattle. Cattle were last grazed on the Common some 70 years ago when there was less traffic on the roads and less leisure use of the land. The presence of the A281 road running directly along the edge of the land means that the use of electric fencing alone would not contain cattle adequately (a cow spooked by a dog would crash through such fencing). 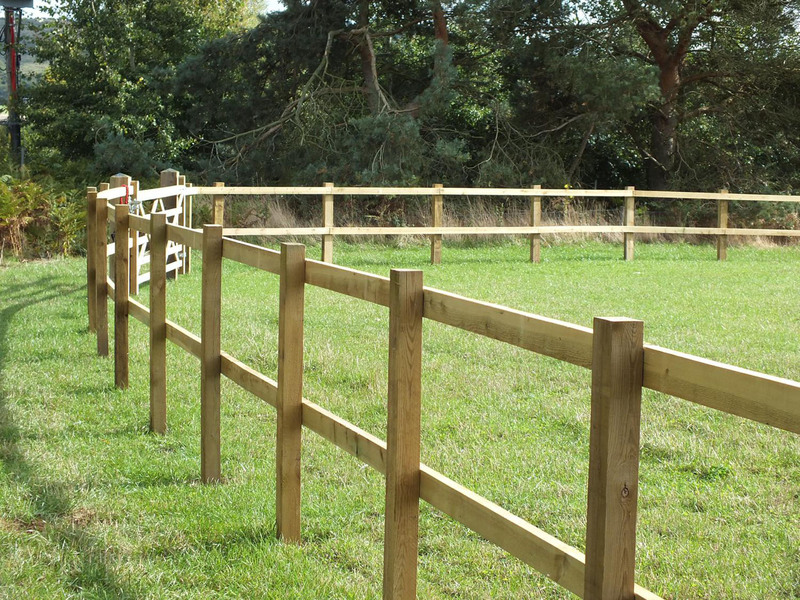 Proper stock-proof fencing would be needed along the road border which would consist of timber post and rail fencing or post and wire fencing similar to that shown in the picture. Clearly the use of such fencing to enclose the edge of the common would change the open nature of the land. Furthermore there would still be a need for temporary enclosures around the area at different times to contain the cattle to small areas. Grazing would be seasonal and not take place continuously in any one area. Access would have to be maintained at all times which would require gates or stiles suitable for all users. Would you be in favour of all or part of the grassland area of the Common, where it adjoins the A281 being permanently fenced? NOTE – this relates to the yellow areas on the map on either side of the road. If access rights were maintained would you consider the possibility of the Common being temporarily fenced in sections to allow cattle to be grazed? Please be assured that no decisions will be made without full discussion with all stakeholders. The comments received in this survey will help those leading the project to get an early feel for the community’s appetite for the future management of the common and what people’s priorities are.